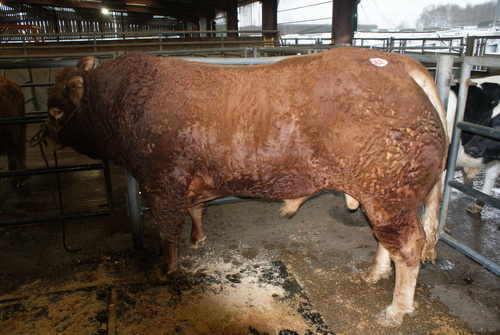 Sardine is a thick and beefy French cow who was purchased from Carlisle May 2005 for £4,000. 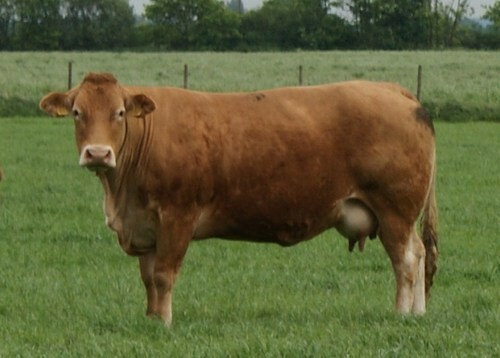 Her first daughter, Goldies Ursula was sold Carlisle Red Ladies Derby 2006 as Reserve Overall Champion. 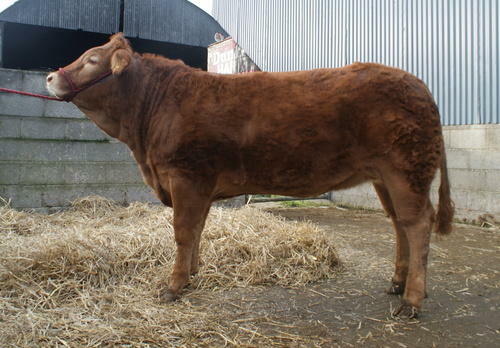 Her January 2008 born bull calf by Samy sold at Selby Market for £2,100. 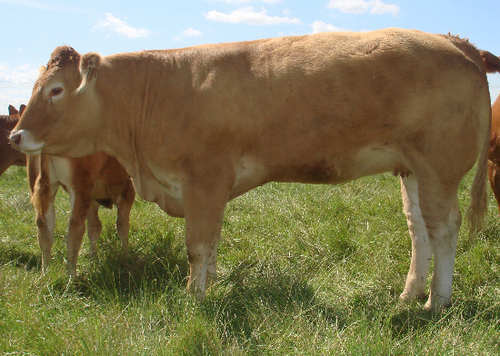 Elderberry Antoinette, who is retained in the herd, is a lovely heifer by Goldies Terence who had her first calf in January 09, a Milbrook Alistair heifer calf, Elderberry Evette (pictured below). 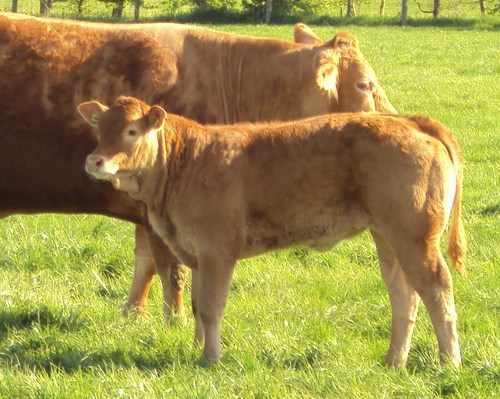 She currently has a heifer calf at foot (pictured below) Elderberry Fancine, by Milbrook Alistair. Elderberry Francine at Sardines foot. 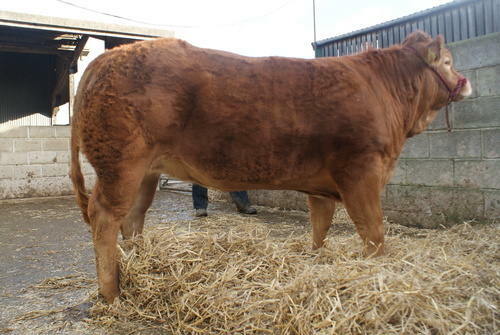 Elderberry Democrat aged 2 years.